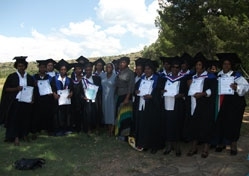 To provide holistic home, parish and community care to people with HIV/AIDS and orphans and vulnerable children (OVC). 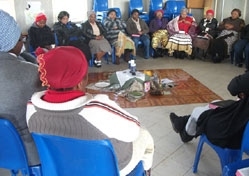 To identify people within the community with leadership qualities in order to train them to coordinate groups in their own community or parish to provide care and support for people with HIV/AIDS. To train community members to enable them to provide information, care and support to people affected and infected by AIDS in their community. To train primary caregivers of those suffering from AIDS to provide for the needs of the sick family members within their home environment. To train those who wish to be involved in Peer Education and Lay Counseling so as to mobilize and encourage the community to do counseling and testing, this is to encourage people to know their HIV or health status. To provide children in disadvantaged communities with human formation, education and life skills from birth to adulthood. 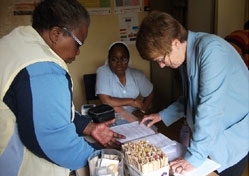 To coordinate the efforts of all organizations and committees within the Diocese involved in the care of AIDS patients as well as the care of those children orphaned as a result of AIDS.